Break the story. Break the silence. The true story behind the scandal that shook the world. Nominated for Golden Globe Awards as Best Motion Picture in Drama Category and BAFTA Awards for Best Film, Spotlight is another movie to look forward for this year 2016 from Solar Pictures this upcoming February. Michael Keaton, Mark Ruffalo, Rachel McAdams, Liev Schreiber, John Slattery, Brian d’Arcy James, Billy Crudup and Stanley Tucci with the screenplay by Tom McCarthy & Josh Singer. 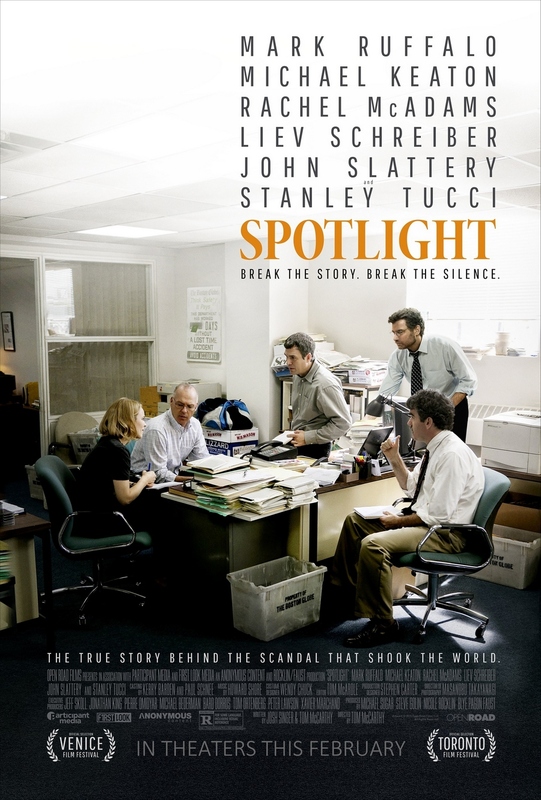 SPOTLIGHT tells the riveting true story of the Pulitzer Prize-winning Boston Globe investigation that would rock the city and cause a crisis in one of the world’s oldest and most trusted institutions. When the newspaper’s tenacious “Spotlight” team of reporters delves into allegations of abuse in the Catholic Church, their year-long investigation uncovers a decades-long cover-up at the highest levels of Boston's religious, legal, and government establishment, touching off a wave of revelations around the world. 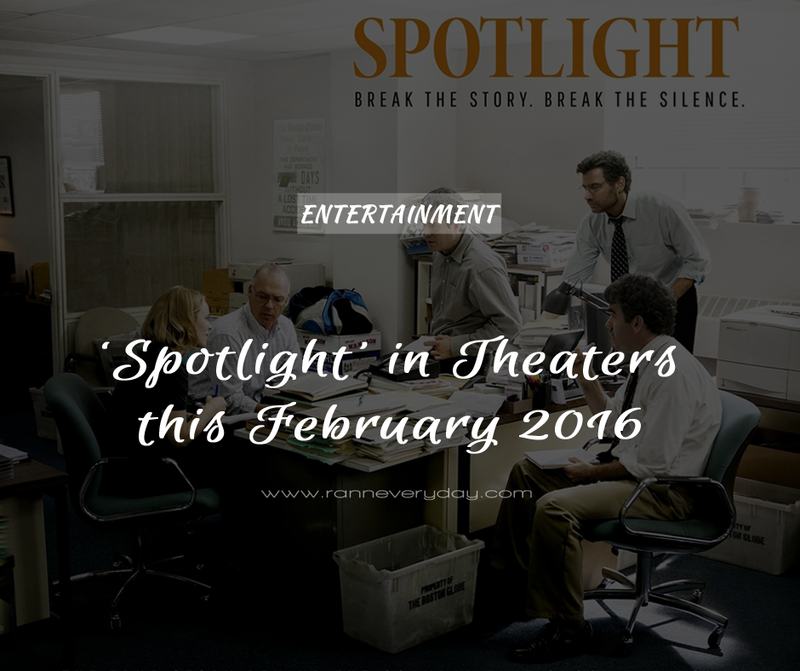 Directed by Academy Award-nominee Tom McCarthy, SPOTLIGHT is a tense investigative dramatic-thriller, tracing the steps to one of the biggest cover-ups in modern times. The true story of how the Boston Globe uncovered the massive scandal of child molestation and cover-up within the local Catholic Archdiocese, shaking the entire Catholic Church to its core. Catch Spotlight this February 2016 brought to you by Solar Pictures.